David Levitt is an experienced trial lawyer who focuses his practice in a number of distinct areas. His primary practice is intellectual property, with wide experience in insurance, commercial litigation, products liability and trucking. Mr. Levitt's intellectual property practice has included litigation and licensing issues in the areas of trademark, copyright, patent and computer law. He is a past leader of Hinshaw's national Intellectual Property practice group. In the insurance coverage area, his work has been diverse, spanning the range from “simple” personal lines coverage disputes to complex coverage litigation involving environmental and bankrupt health care providers. Mr. Levitt's product liability experience includes both chemical and machine related claims, both in the industrial and consumer contexts. This experience helps him to translate scientific issues for lay juries and judges, a significant advantage both for intellectual property and product liability work. Mr. Levitt also has a trucking practice, having represented several trucking companies in serious cases involving a number of jurisdictions, and he is experienced in the unique litigation needs of such organizations. He was a founding member of the Trucking Industry Defense Association ("TIDA"), and co-chaired its first seminar in 1993. 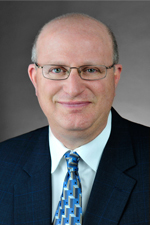 Mr. Levitt joined Hinshaw & Culbertson LLP in September 1979. In the Fall of 2005, Mr. Levitt completed intensive training in mediation from the faculty of Pepperdine University School of Law’s top-ranked Straus Institute for Dispute Resolution, and is a Certified Mediator in the Cook County Court-Annexed Major Case Civil Mediation Program. Led and performed IP due diligence in the acquisition of a music label, including review of songwriter agreements, and negotiated new distribution deal with Sony. Negotiate IT agreements, both software and hardware, often for healthcare institutions, including with the most widely used EHR software vendors (Epic, Cerner, Allscripts). Draft hosting agreements related to EHR and EMR. Negotiated numerous agreements related to the creation of a fiber optic cable network, including IRUs (indefeasible rights of use). Represented music label in copyright infringement, trademark infringement, and breach of contract claim brought by hip hop artist arising out of label's acquisition of all rights to the music "free and clear" in bankruptcy proceedings. Obtained summary judgment from the Southern District of Florida, and affirmance by the 11th Circuit. Represented photographer of famous photograph of polar bears on an ice floe in copyright infringement claims against the Canadian government and others; successfully obtained fair value for use of the photo and acknowledgement of ownership of IP rights. Represented several different clients in claims by the Business Software Alliance ("BSA") and Software & Information Industry Association ("SIIA") for use of unauthorized software. Developed responses to their standard positions and insisted upon more case-specific resolutions. Represented parties in claims by stock images organizations, including Getty Images. Obtained summary judgment in Minnesota federal court for website owner by competitor who claimed that client's website infringed on plaintiff's website. Court found that the websites were not substantially similar and there was no evidence of copying. Represented bar association in claim brought by member asserting copyright infringement by continued use of seminar materials authored by the member. Case resolved with zero payment. Obtained voluntary dismissal of printing company of claims asserting that the printer had infringed on plaintiff's copyright by printing materials submitted by a customer. Successfully achieved DMCA takedown of images of client's product from website of competitor, which was selling re-manufactured versions of client's products, but using client's images as samples of competitor's product. Represented clothing line of famous hip hop artist against trademark claims that the name of the clothing line infringed on the name of a video juke box service being installed in shopping malls. Defeated motion for preliminary injunction and later resolved case for about 3% of plaintiff's initial demand, including transfer of all of plaintiff's trademark and domain name rights to client. Represented product seller against former employees and their new company in claims of trade dress and copyright infringement, when the new company's products and packaging were confusingly similar to client's. Obtained settlement for 100% of infringer's profits on the products at issue, plus 100% of client's attorney's fees. Represented former employee and new employer in trade secret case brought by medical device seller. Prevailed on all issues following bench trial, and obtained an award of 100% of attorney's fees. Represented out-of-state physician practice in right of publicity claim by Chicago-area celebrity; settled case before lawsuit for less than cost of defense. Represented insurer in review of right of publicity claims arising out of popular video game in which the faces of original models for the characters were still visible; the models claimed that they had signed only limited releases. Developed analysis of various defenses available in such claims. Represented employer in suit against former employee under the Illinois Commercial Bribery statute and for breach of fiduciary duty. Obtained dismissal and appellate affirmance of defamation and breach of contract claim arising out of the parties mutual participation in a trade association. Obtained dismissal in favor of a newspaper due to plaintiff's failure to comply with Florida's pre-suit notice statute. Summary Judgment granted for insurer, finding no duty to defend under a NTL (Non-Trucking Liability) policy. Underlying case resulted in an $8.4 million verdict. Summary judgment for insurance producer in $2 million claim asserting failure to procure the correct amount of property insurance and failure to procure business interruption insurance. Lead coverage counsel for the property manager in the 69 West Washington fire case; successfully obtained complete defense and indemnity from additional insurer. Lead coverage counsel for the building owner in the Hancock Building scaffolding case; successfully obtained complete defense and indemnity from additional insurers. Called upon to consult with and negotiate for major Chicago commercial property manager on terms of management contracts with building owners (including some famous, well-recognized Chicago buildings); issues often included the scope of indemnity and insurance provisions in such contracts. Obtained summary judgment — which consequently defeated class action certification — in a former owner-operator's lawsuits alleging violations of the federal Truth-in-Leasing Act and its related regulations. Defense of numerous serious trucking accident matters in various venues. Mr. Levitt's writing and speaking background is extensive and mirrors the diversity of his practice. Editor in Chief of the Defense Research Institute's "Defending Intellectual Property Claims – 2006," published in October 2006, and is a co-author of one of its articles: "The Defense of Intellectual Property Misuse after Illinois Tool Works v. Independent Ink." "EMR and E-Discovery Is Coming: Are You Ready?," Healthcare Informatics, April 28, 2017.